Help CentreUsing SuperControl Managing bookingsHow can I block dates or close a property? 2. Tick this box before you save the booking. 3. 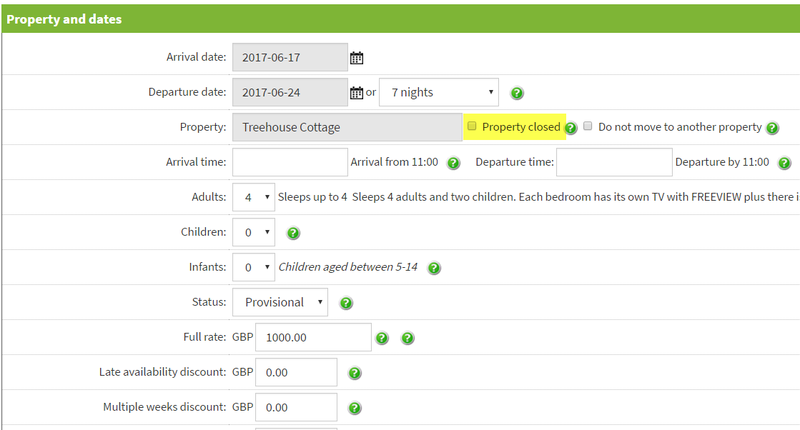 If a booking is already saved, you can mark it as a closed booking by clicking Edit, ticking "Property closed" and then click Save. Prev: How do I access the payment reminders page? Next: How can a third party agent log in to view their bookings?